DOWNLOAD CLEARWATER BARNS COLOR CATALOG HERE! (pdf) 3.9 MB optimized file. Our quality buildings are made available to an audience residing in the Inland Northwest including Idaho, Washington, Oregon and Montana. 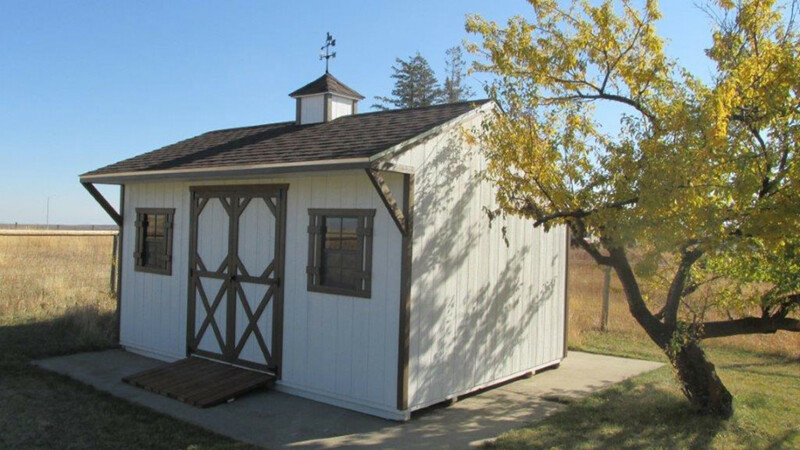 At Clearwater Barns, you’ll find quality sheds, barns, mini cabins and animal shelters. We make it EASY to accommodate a variety of possibilities for your personal style and storage or shelter needs. Secure your investment in lawn equipment, ATVs, collectible treasures, vehicles, motorcycles, golf clubs and other summertime furniture and home decor items. Keep your Christmas decorations and yard art stored in a dry building to retrieve during the holidays. Really you can store almost anything in one of 12 styles of Clearwater Barns. Each offers multiple options, colors, sizes and accessories. Any tangible thing lasts longer and holds its value far more, when out of the weather and sun. Locking doors make your things more secure, and your personal home space is kept neat and tidy. Here’s another idea. Place a mini-cabin on family property to create extra lodging for family members or visitors. All they need is a place to sleep that offers comfort and privacy. Need a business idea? Utilize Clearwater Barns mini-cabins to create a lodging or camping business on your private property. The ideas are endless with the quality and practicality of Clearwater Barns. The recent increase in the price of eggs due to the bird flu crisis, might have gotten you thinking about food safety and supply. The Clearwater Barns Chicken Coops are the perfect solution. Select from 10 colors of paint and 4 options for roof shingles. Harvest your own eggs from chickens that free range in your yard, eating bugs and grains you supply. Fresh eggs are easy to sell. Need a business idea? Advertising your Fresh Eggs For Sale through Facebook and charge the same amount that your local grocer does, but insure that your eggs are fed natural grains and whatever you feed chickens. Pesticides or herbicides are never used on the property to avoid poisoning to the chickens. Even trace amounts of chemicals can be passed on to eggs and to those who eat them. Take a Sunday drive as the spring weather peeks into winter days. Stop by our lot in Grangeville Idaho to see first hand, our different styles of buildings. You’ll see the quality craftsmanship that is delivered with every product we make. Don’t see what you’re looking for? No problem. We’ll customize to suit your needs. Contact David Kurtz.